In the early 18th century, an English privateer named Robert Jenkins was attacking merchant ships in the Caribbean and stealing cargo when he was captured by the Spanish navy, which punished him by cutting off his ear. The English used this as an excuse to declare war on Spain, and in 1739, “The War of Jenkins’ Ear” began. In Charles Town, planter George Lucas had only recently emigrated from Antigua, and was ordered by the British crown to return to his West Indies military post, leaving his teen-aged daughter Eliza in charge of 6800-acre Wappoo Plantation. The battles pitting England against Spain and her ally France would spill over for years into a series of wars that would not end until 1763, effectively cutting off considerable trade and goods from West Indies ports blockaded by British ships. 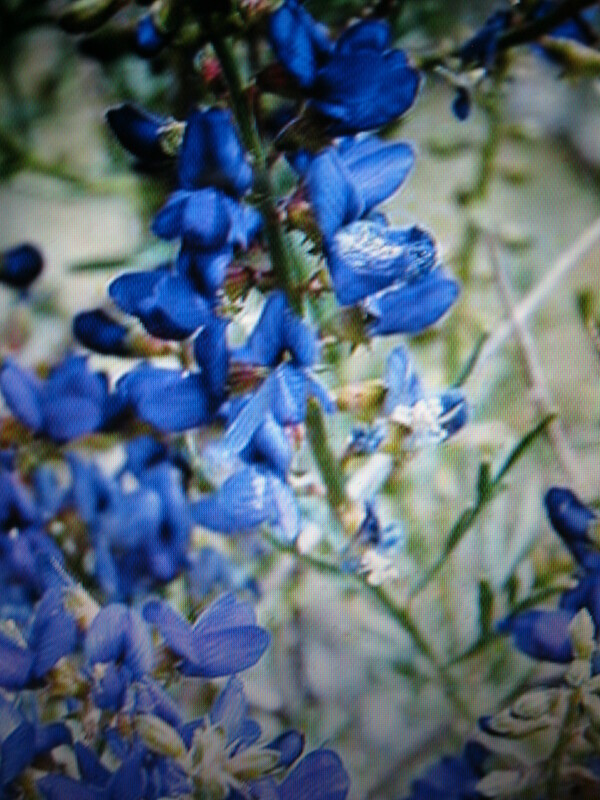 Meanwhile, young Eliza, who was well-educated and strong-willed, improved the laborious method of processing the indigofera tinctoria plant into colorful dyes. What was simply known as indigo is a small, evergreen shrub that was soaked, crushed, mixed, boiled, and strained to create a liquid that colored garments and cloth. Dried into cakes, it could easily be shipped and reconstituted with water. Eliza’s innovation was to put all the individual aspects of production into a continuous, step-by-step process, and prompted many other planters to turn to this as a cash crop. The timing was impeccable, as the wars cut off competing dye-producing ports in the Caribbean, and the British government created tariff protecting South Carolina indigo from non-empire producers. As a result, Eliza and other indigo growers made massive fortunes in a relatively short period of time, and Charles Town would become one of the wealthiest cities in America. She would go down in history as one of South Carolina’s most accomplished women, and was mother to US Constitution signer Charles Cotesworth Pinckney. A legacy of individual greatness and provincial wealth and power that was all the result of poor old Robert Jenkins’ ear. A British cannonball from the Revolutionary War was recently found when a tree was removed from the backyard of a house on Broad Street in Charleston. Local ordnance expert Keith Purdy believes it was fired into the city during the Siege of Charleston by English forces in the Spring of 1780. There were two British cannon batteries firing into the city from earthworks just across the Ashley River during the siege, and could have easily lobbed the 22-pound solid shot from that distance to Broad Street. The size of the ball is odd, considering most cannons of that period used standard size and weight projectiles (6, 12, 18, 24, 32 and 42 pound), but documentation also shows that the British had a howitzer that could have handled this 5 ½ inch diameter ball. 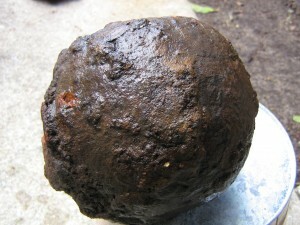 The iron in this ball is actually harder than ordnance that has been salvaged from the War Between the States, authenticates its use during the Revolution. It looks pretty good considering it has been buried for 232 years. 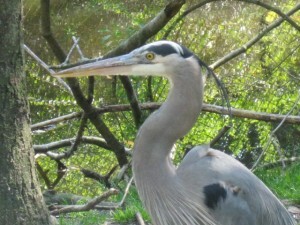 Shore birds of many species begin to gather along the South Carolina coast in late Spring to bring in a new generation of familiar wings. Up in protected areas such as the Cape Romain Wildlife Refuge, tens of thousands of pelicans, egrets, herons, terns, ibis, oyster catchers, and gulls will descend on barrier island dunes, grasses and beaches to make nests and lay eggs. When young birds hatch, they are either altricial – which initially have no feathers, or precocial – where they emerge from eggs already feathered. Altricial young such as pelicans can easily burn up in the sun without the protective plumage, so mating parents split duties, as one sits on the nest covering the young, while the other wings away in search of food. Pelican nests are built from marsh grasses to hold the large young that typically hatch in pairs. Certain precocial birds, such as royal terns, nest in shallow sand depressions above the high water mark, and although the little ones can’t fly for several weeks, they can move in mass numbers very quickly on tiny wobbling legs. Terns nest in packs known as creches as a means of best defense against predators, and hovering parents will dive on nosy humans if they get too close. Young of all species come struggling out from eggs without much meat on their bones and often quite ugly at first, But as feathers grow and baby birds beef up on bits of fish brought back by adult birds, their features quickly turn elegant. Pelicans grow big with wide wing spans, herons and egrets sprout long, graceful legs, terns and ibis develop interesting colors, crowns and decurved beaks, and all will be in the air by mid-Summer.